For the purposes of the present Agreement the Site is understood to be an Internet resource consisting of the totality of a collection of computer programs and information stored on computer. The Site is stored on an information system permitting access to the aforementioned information via the Internet at the address (domain name) http://love-kazan.ru/, including all levels of the aforementioned domain, both those that are functioning on the date of the User's registration and any that may be created and brought into use at any time during the operational life of the domain. Access to the Site is possible both through a browser under a personal computer operating system and also by means of apps for mobile devices and apps for social networks. 1.3. The Agreement may be changed unilaterally by the Administration without any special notification to the User. The new edition of the Agreement comes into force from the moment it is posted to the Site. The current edition of the Agreement will always be kept on the Site at http://love-kazan.ru/a-conditions/. 2.2. To begin using the Site, the User must go through the Site's registration process. To register, the User must fill out the registration form posted at http://love-kazan.ru/a-register/ (hereinafter "the Form"). During the registration process, the User undertakes to provide the Administration with full, accurate, and up-to-date personal information in response to all the questions included in the Form. 3.7. 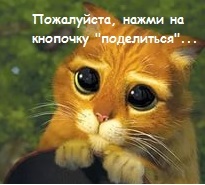 Any requests, questions, complaints, or suggestions related to the functioning of the Site and/or the actions of the Administration may be addressed by the User to the Administration by using the contact details provided at http://love-kazan.ru/a-showpage/name-contacts/ or else the postal address of LLC Loveplanet as given in point 1.2 of the Agreement. 5.4. By registering for the Site, the User grants Management permission to process his personal data by the means and for the purposes defined in the present Agreement and also in the Policy on Meeting the Requirements of Personal Data Protection located on the Site at: http://love-kazan.ru/personal_data/. 5.6. The User permits the Administration to use the email and telephone number given by the User during registration in order to send advertising messages, information about events and new options on the Site, and also analogous information relating to other sites (at the Administration's discretion) and other information. The User may withdraw this permission at any time by using a special Site setting (http://love-kazan.ru/a-account/) or by sending a request to the support service by means of filling out the form at http://love-kazan.ru/a-support_search/a-trackernew/. 5.7. The User permits the Administration to connect free Services to his personal page without further notification. To disconnect a free Service, the User must send a request to the support service by filling out the form at http://love-kazan.ru/a-support_search/a-trackernew/ or by using a special Site function for disconnecting the given Service. If the User does not agree with the terms included in the present point, he undertakes to inform the Administration by using the feedback form on the Site at http://love-kazan.ru/a-support_search/a-trackernew/. 7.2. The conventional accounting currency for paying for paid Services on the Site is the Credit. The rules for acquiring Units, the payment terms, and information about the Credit's value are posted on the Site at http://love-kazan.ru/a-purse/, accessible to registered users. 7.8. In order to confirm the reliability of his personal page the User may obtain Live status, which will permit him to access additional functionality of the Site. Live status may be obtained in the following ways: the User should visit the page on the Site at http://love-kazan.ru/a-livestatus/ and give a current mobile telephone number. A unique code will be sent to that mobile number, and the User must enter that code into a special field on the Site. Live status is also awarded automatically to the User when he pays for any paid service on the Site.